Anyone who closely followed the 2016 presidential campaign likely has a favorite Ben Carson moment. There was the time he walked away from a live CNN interview because he realized he didn’t know where his luggage was. There was the time he neglected to walk onstage during his turn at the ABC debate, causing a grinning Senator Ted Cruz to walk around him. And now, the newly minted Secretary of Housing and Urban Development has just inked another comically awkward moment into the history books. While touring affordable housing in Miami with former Heat star Alonzo Mourning, Carson got stuck in an elevator for nearly 20 minutes as the NBA legend waited outside. 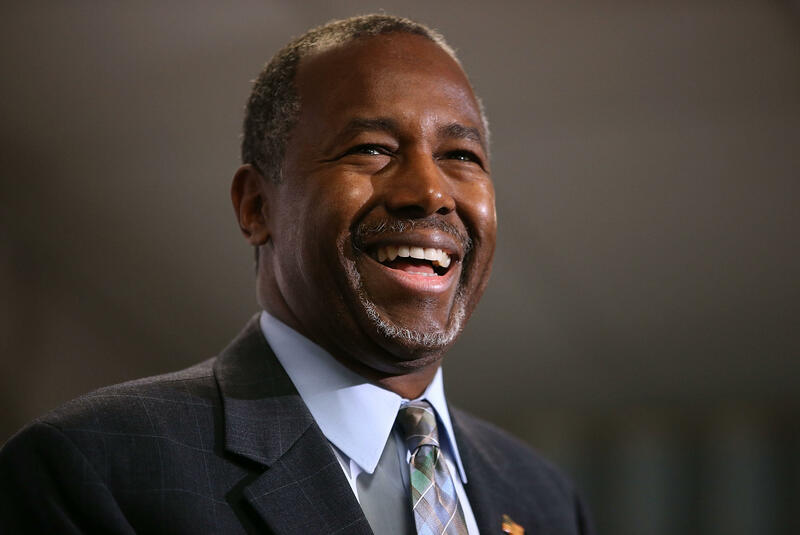 Carson is in Miami as part of a national listening tour, during which he hopes to hear from people who rely on public housing and from organizations that support it. This comes less than a month after The Washington Post obtained a budget outline, which appears to show President Trump’s plan to slash HUD’s funding by more than $6 billion. Ironically, if that occurs, the budget cuts will severely impact HUD’s maintenance funds (i.e. their ability to execute much needed repair work on public housing facilities, like the elevator Carson just got stuck in). Members of the Miami Fire and Police Department scrambled to the Courtside Family Apartments to free the HUD Secretary from the stalled elevator, and thankfully no one was hurt. But if Carson was looking for a refresher on the necessity of his Department, he certainly got one.